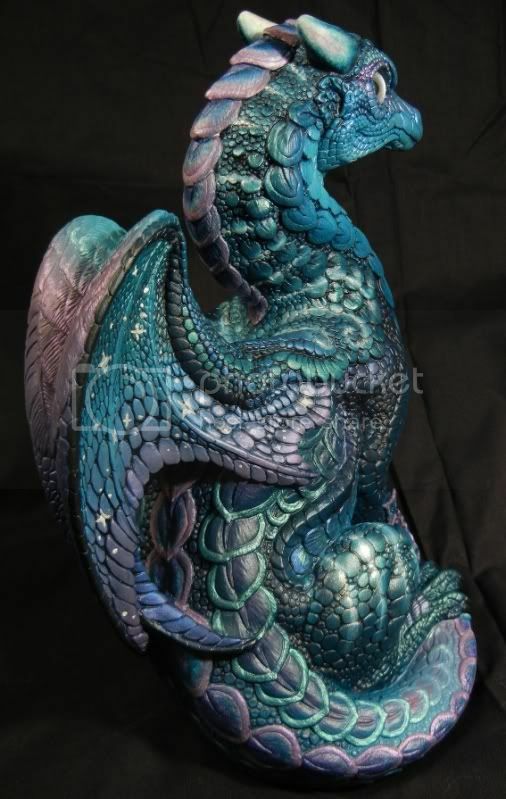 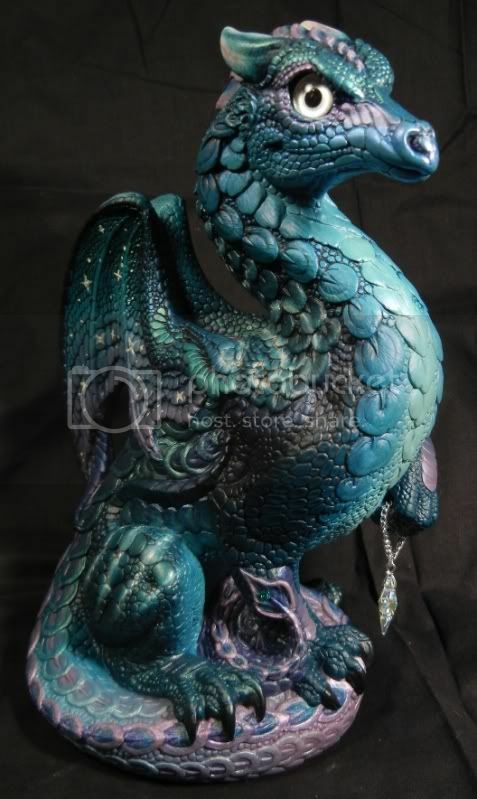 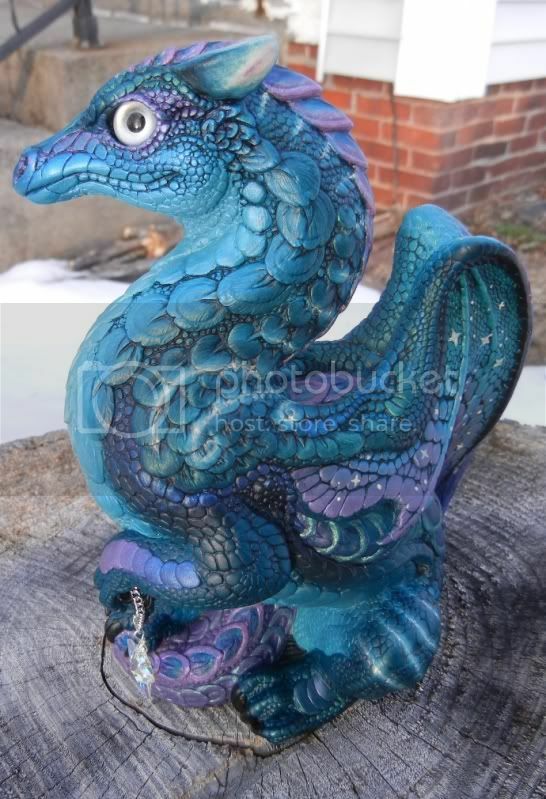 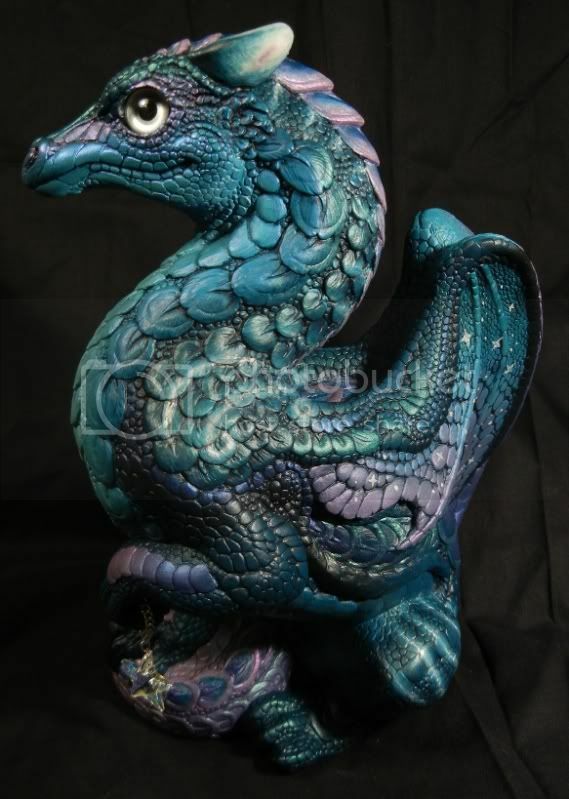 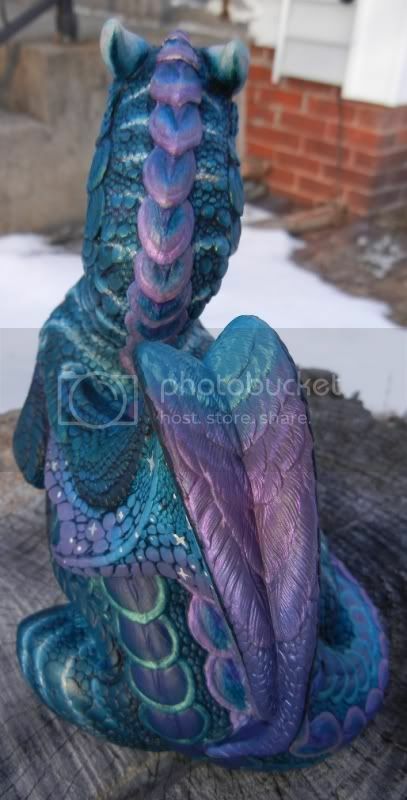 This Keeper is painted in deep teal blue, periwinkle, lavender and with accents of cream. 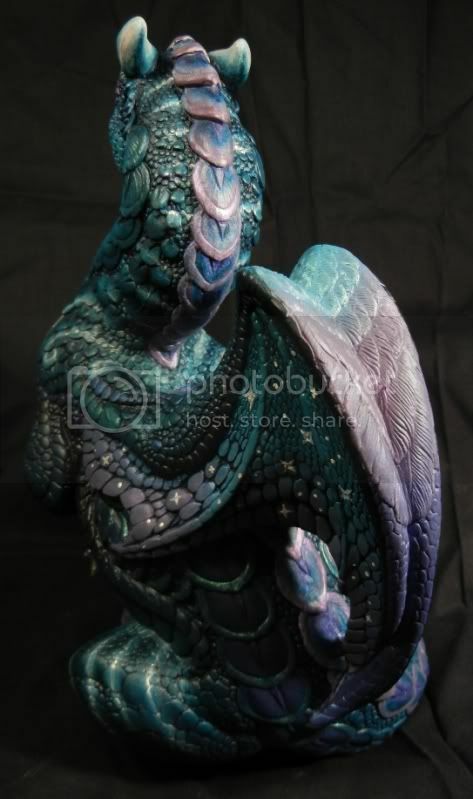 He is the first dragon that I've tried giving stripes and I think they came out pretty well! 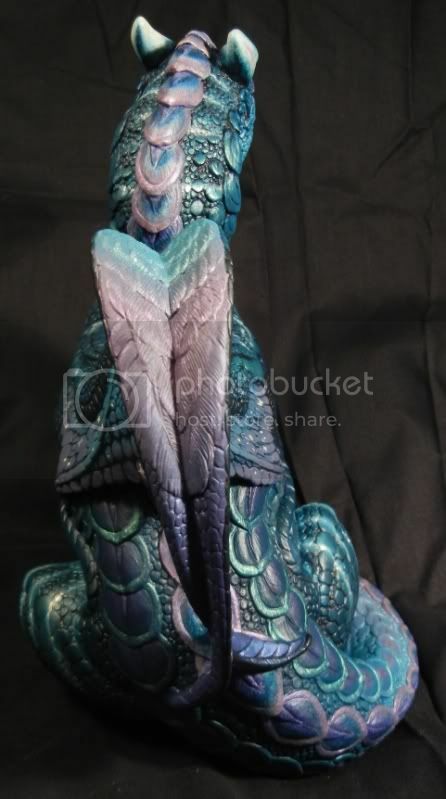 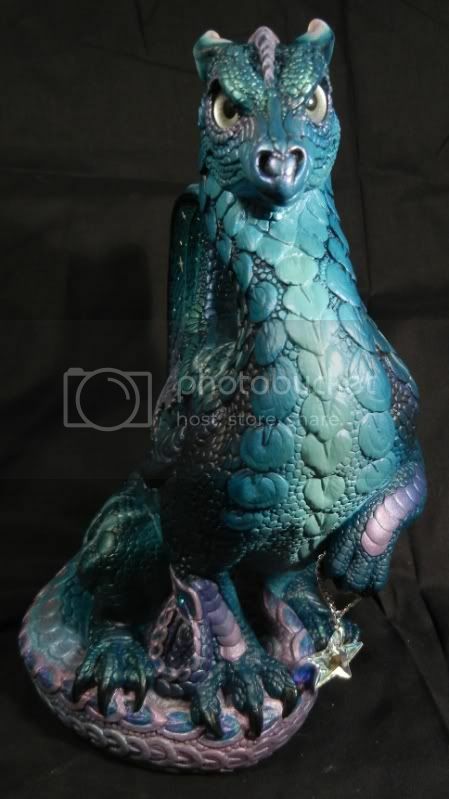 I have antiqued him in very deep teal blue and he has special silver metallic eyes. 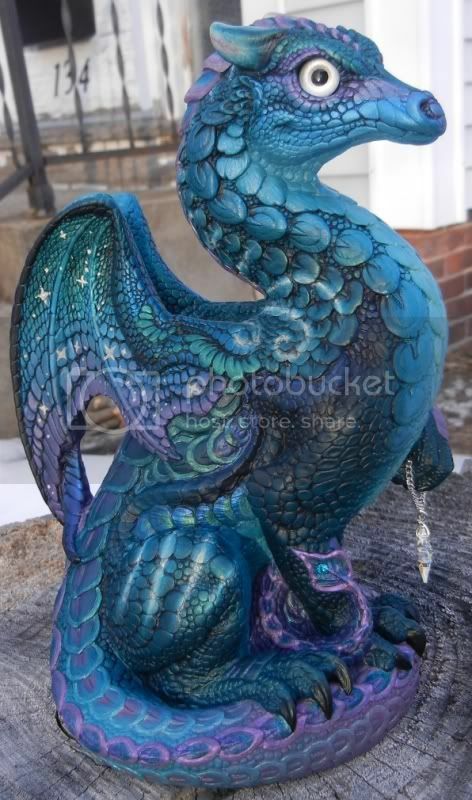 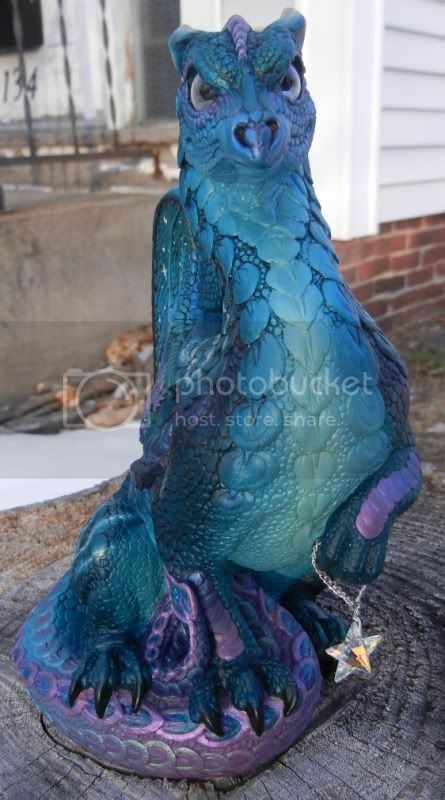 He holds a star in his upraised paw and has a teal blue gem in his tail. 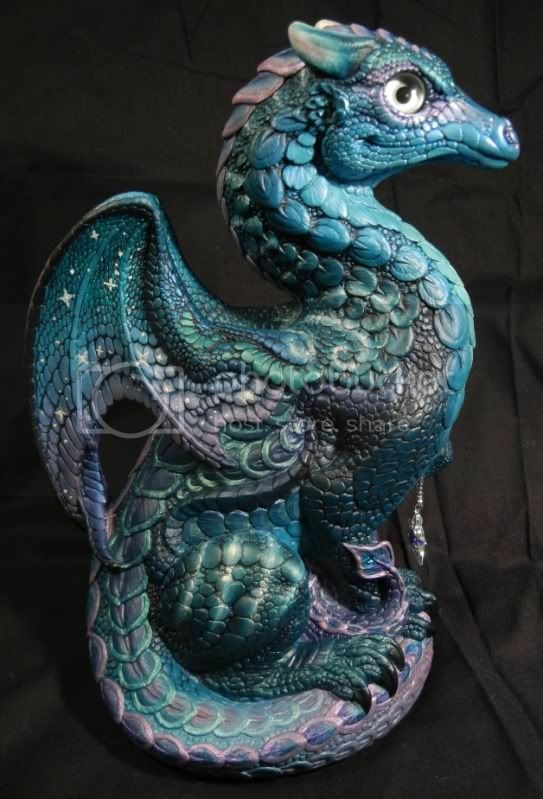 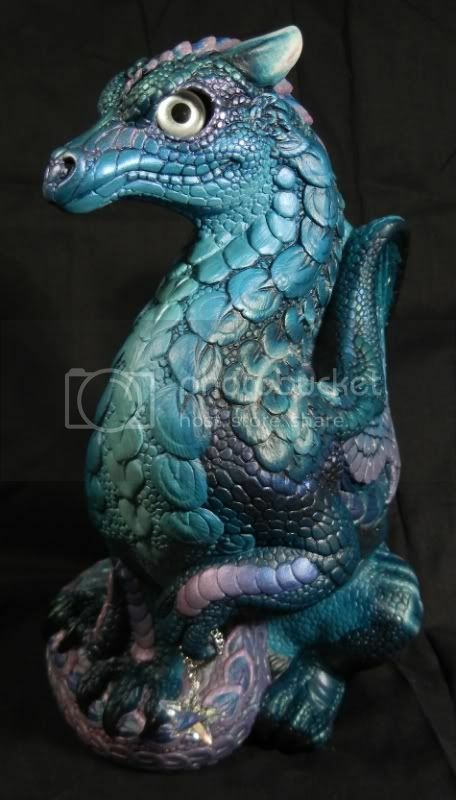 He has been interferenced in gold, blue, violet and green and since he has a matte finish it gives those interference colors a very pretty burnished metallic sheen.